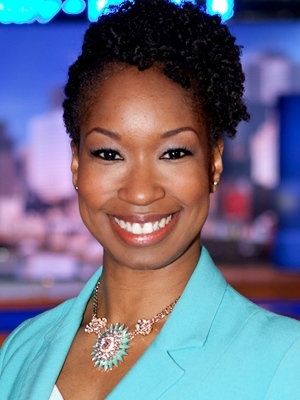 Maya Johnson has been working at CTV Montreal since 2005, where she began as an intern while studying journalism at Concordia University. Within weeks, she made the leap from researching behind the scenes to reporting on air, at the age of 21 – becoming the youngest reporter in the newsroom. At the end of her internship, Maya returned to school for her final year of studies. As a student, she received a scholarship from the Montreal branch of the Canadian Women's Press Club. After graduating with distinction, Maya was profiled as an up-and-coming journalist in "Watch This Face," a feature in the Montreal Gazette. She spent a session studying at the Michelangelo Italian language and culture school in Florence, Italy, before heading back to the newsroom, where she was hired as a full-time reporter in 2012. During her freelance days, Maya wrote for the West Island Chronicle. She still contributes to Montreal Community Contact, a bi-weekly newspaper serving the city’s Black and Caribbean community. As a general assignment reporter at CTV, Maya covered a wide range of hard news and human interest stories in Montreal, but spent one year on assignment in Quebec City reporting from the National Assembly. She covered everything from the launch of the Charbonneau Commission looking into allegations of corruption in the construction industry to the historic student protests and negotiations in the spring of 2012 over university tuition fees. On election night in September 2012, Maya was in Jean Charest’s Sherbrooke riding when he was defeated – losing his seat for the first time after 28 years in politics. She covered the PQ’s transition to power after Pauline Marois became Quebec’s first female premier. Maya has covered breaking news across the province -- from the train derailment and explosion in Lac Megantic to the fatal fire that swept through a seniors' residence in L'Isle-Verte. She was also sent to Ottawa to cover the shootings on Parliament Hill in 2014. In 2015, Maya made her debut at the anchor desk and continues to fill in on weeknights and weekends. Maya loves spending quality time with family and friends, listening to a wide range of music, and travelling -- especially to Jamaica, her parents’ birthplace. She also enjoys a good read from her book club, collecting vinyl records and mixing music (mainly old-school reggae!) on her turntables.